Editor’s note: Martin Luther famously said, “Next to the Word of God, music deserves the highest praise” (Luther’s Works, Vol. 53). The ELCA still holds tightly to Luther’s understanding. In this series, we’re exploring Lutheran music throughout history, the importance of music to the Lutheran faith and how that tradition continues today across styles and expressions. Whether they’re attending conferences, searching for new music, learning about trends in church worship or networking, members of the Association of Lutheran Church Musicians (ALCM) sing its praises. Now in its 32nd year, the professional organization for Lutheran organists, music directors, choir leaders and others working in full- or part-time church music positions has 1,600 members. “If I had to guess, I’d say 1,100 are from ELCA churches,” said Jim Rindelaub, executive director of ALCM, a pan-Lutheran association in the United States and Canada. Rindelaub was a church musician before taking the helm at ALCM last year and is a charter member. The association’s leadership includes members of all Lutheran denominations, and the organization is divided into four geographic regions. It’s funded by annual membership dues, conference registration fees and contributions from about 250 donors, he said. ALCM supports church musicians by publishing periodicals and resources several times a year; providing a membership directory and job listings; sponsoring national conferences, regional workshops and webinars; and more. 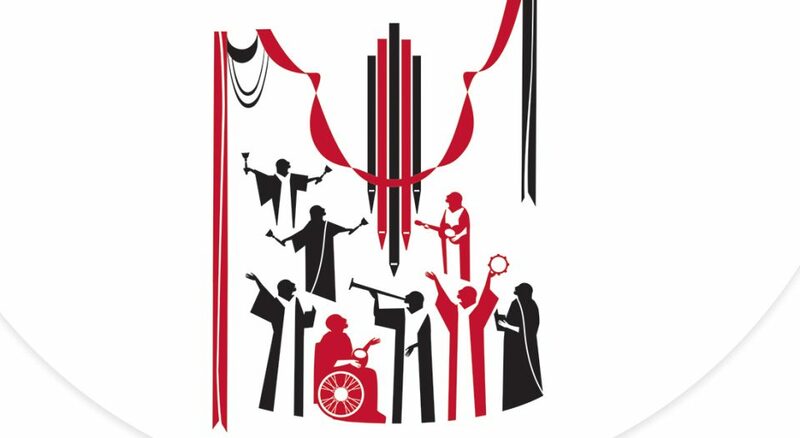 The “members-only” section of the ALCM website (alcm.org) provides support and educational resources, including information on finding new music, ways to sing psalms in unique ways, getting permission to use copyrighted materials, engaging the congregation in song and more, Rindelaub said. Members can also listen to new choir anthems online and decide if they want to purchase the music for their church. ALCM’s annual conference took place in July at Valparaiso (Ind.) University. This year, for the first time, Rindelaub said ALCM also sponsored 40 one-day workshops around the U.S. and Canada for people who can’t take time off from a full-time job to travel to a national conference. Linda Schmidt, a deacon who serves as director of worship and music at First Lutheran Church in Geneseo, Ill., has been an ALCM member for more than 30 years. She participates in its programming, contributes to its periodicals and rarely misses any of its semiannual conferences. John Weit, a deacon who serves as ELCA program director for music and has been an ALCM member for more than 15 years, is the liaison between the association and the ELCA. He was also program chair of the Valparaiso conference. ALCM’s goal, he said, is to expand its role in embracing its mission. “There’s room for a variety of styles of music in worship that have sound theology, and we encourage our music leaders to support the participation of the congregation,” he added. Rindelaub has witnessed a lot of change in church music over the years, especially in the contemporary movement. “In the 90s when that became popular, this was a significant change and yet another area for the ALCM to support our colleagues,” he said. Global music is also evolving, he added, as more becomes available. “We want ALCM to be the place where all Lutheran musicians, from their various music styles and traditions, can come and find support, inspiration, practical help and historical information,” Rindelaub said. Read part one of this series. Healy is a freelance writer and member of Trinity Lutheran Church, N.Y. She served as communications director for Lutheran Disaster Response of New York following the 9/11 attacks.